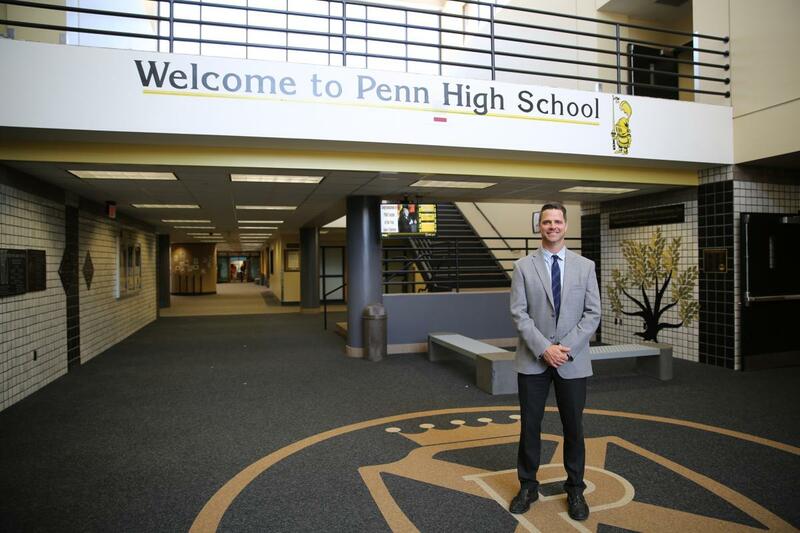 On behalf of the entire Penn High School faculty, welcome to the Penn High School website. Our hope is that you find our website user friendly and that you will use it as intended. Our website is our communications tool with our parents and community. Please check our website often as the information is updated daily. Checking daily announcements, teacher web pages, and guidance information regularly is critical in supporting your student. We are very proud of the success Penn has achieved. Our success as a school is measured by the success of our students. Here are some of the ways we support our students and staff. Penn High School strives to provide an educational environment for students to reach their highest academic potential, while preparing each student to be a responsible, healthy, and contributing citizen. We pride ourselves on offering a very personalized environment in which we prepare students for a range of post-secondary options including the workplace, the military, and college. Indiana’s Department of Education maintains the “Compass” website where school information including demographics, test scores, and graduation rates are displayed for Penn High for the past several years. We invite you to visit the Compass website to browse this information. Penn’s data reveal consistently high outcomes by almost any measure. The Academies at Penn High School provide the framework for student success. Through their work in each academy, students find relevant and meaningful coursework taught in a supportive environment where each student is known well by his teachers and peers. Through these “smaller learning communities,” students build relationships while engaged in relevant learning experiences. Every staff member at Penn is committed to the success of every student. We all stand ready to help and support you with any issue. Please feel free to contact me at (574) 258-9500 or click here to email me at srgaliher@phm.k12.in.us. Need to contact another member of Penn’s staff, please use our Staff Directory.